I'm sure by the time you read this you will know that Ms Pugh passed away this morning. It was not unexpected as she was failing for several days and we are happy knowing that she was easy at the end and did not seem to be in too much distress. There is much to be said about the process of death but having to experience it is not always easy. But, that being said, our journey could not have been made easier if it were not for the remarkable care your staff provided. We are so thankful for the loving and caring that was shown Ms Pugh and us throughout this ordeal by your staff. To say they all acted professionally would not go far enough in our thanks. If there are stars to be given out I think now is that time. I am Jo Nell Grider's daughter and I wasn't quite sure who to send this to, so you are the lucky one! I just wanted to take a moment (long moment) and send out kuddos to 4 members of the Remarkable Healthcare staff. �	Christine is one of my mother's favorite aides. She cares so much for Mom and it shows everyday. When I come, Christine makes sure to talk to me and let me know how Mom is doing and updates me on milestones that Mom neglects to let me know about :) I so appreciate these updates and the time she takes to keep me informed on Mom. �	Norman has taken Mom to two seperate appointments this week on Monday and Tuesday. He is so very kind and considerate. Even though he told us to call him when we were done, he would call us just to check and see if we were ready so that we didn't have to wait. Little things mean so much and I appreciate his efforts and care with Mom. �	I don't know the name of my next person, but she is an aide who was working last night and I believe she said she was Joe's daughter. Mom had an appointment earlier in the day that ended up taking all day yesterday. When she found out that Mom wasn't coming back until late and wouldn't have lunch or her meds, she ordered her a sandwich and chips to make sure as soon as we returned she would have it. When I arrived before Mom, she went and got it then waited by Mom's room for her to get there because she knew she would need to go to bed. She also notified Martin (I think that is his name--we kindly call him the 'medicine man') that Mom was returning and would need her meds and pain pill. When Mom got there she was ready and took care of all her needs--all of this and she wasn't Mom's assigned aide yesterday!!!! Her compassion and kindness were overwhelming to me and I so greatly appreciated it after such a long day. �	Shelli was Mom's aide yesterday and came as soon as she heard Mom was back and helped the other aide with all her needs. She double-check on Mom and really took care of her. Again, I'm so appreciative of all she did. Also, I don't want to forget Keasha and Val the restorative care aides. Mom has done phenomenally well since going on restorative care. Keasha and Val are extremely patient with her (I know how difficult that can be) and got her taking steps for the first time since her stroke in 7/2011!! My sister and I were so afraid Mom would backslide going on restorative care based on our experience at another facility, which was primarily foot massages! 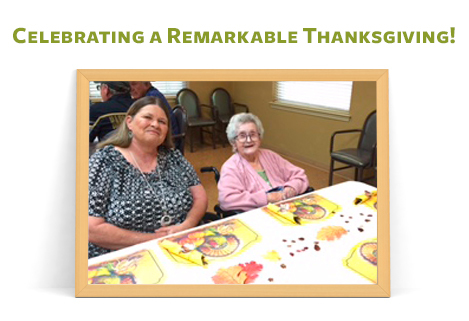 We have been over-joyed to find out how extensive the care is at Remarkable and successful! Please keep it up!! For my sister and I with Mom's care, it is like with our children--you think that no one can take care of them they way you do. 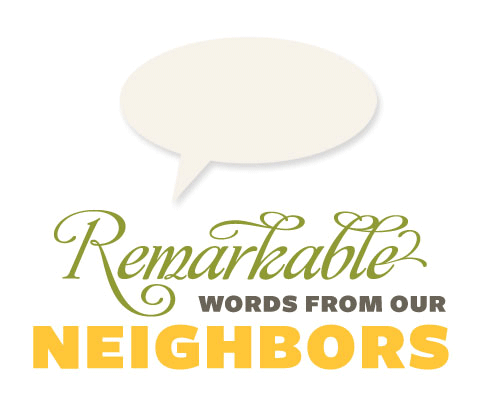 We have been very happy and relieved with the care Mom gets at Remarkable, and just wanted to let you guys know! There is another nurse but I cannot remember her name, she worked the day shift, tall, brown hair,slim. Allie will know who I am talking about. These people are the best and you are very fortunate to have them on your staff. Again, thank YOU and all you have done to make my dad's time there a good one. The day before my dad passed away I arrived that morning to find my dad having major difficulty breathing because of fluid that was in his lungs, the Hospice nurse that was there was not really doing anything to make him comfortable. I went to the desk and talked to Allie who came immediately and saw that my dad was in distress. Allie was very professional in the way she spoke to the hospice nurse who had let my dad progress way too far in pain. Allie took care of getting him more medication and did it in a manner that she did not act like she was trying to take over. It took a lot of pain medication to get my dad comfortable again. Allie is the best and most professional person/nurse that I have ever had the opportunity to meet and you all are very fortunate to have her at your facility. She is one of God�s Angels. She was so good to daddy and talked to him all the time. Before he got really bad he would look at her and smile. I just wanted to thank you for getting Mom's medication changed and working within her insurance guidelines. I appreciate everything that you have done. We are so happy with Remarkable and have been overwhelmed how quickly everyone gets things done. Thank you again for all you guys do! Mr. Dykstra is not associated with Remarkable Healthcare in any way and was not compensated or prompted to place and pay for these ads in the Seguin Gazette. 80 YEAR OLD IS GRADUATING! �He needed a lot of help. He was weak and fell a lot. He needed someone that could teach him how to regain his strength so that he could walk without the fear of falling and hurting himself again. This kind of teacher is hard to find in Seguin. Now he is graduating from RHC where they not only have one -- but six highly skilled and compassionate teacher/therapists with state-of-the-art equipment. They taught him how to regain his strength and walk very well with NO fear of falling. Now he is going back home to live with his grateful wife. Other May graduates include one recovering from a stroke and one from hip surgery. To the doctors, nurses, aides, students and interns at Plaza Medical Center while I was in ICU and on the fifth floor. Cheers also to the nurses, aides and therapy staff at Remarkable Healthcare while I was recovering. Wonderful care and great staff. Ms. Henderson is not associated with Remarkable Healthcare in any way and was not compensated or prompted to place and pay for these ads in the Fort Worth Star Telegram. 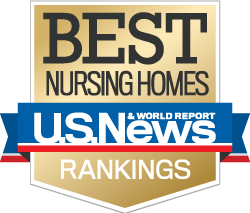 "US News Best Nursing Home"